Over 40 years ago, my wife Mary Lynn and I realized a great opportunity to retail canoes and kayaks in western New York. Back then, there were only two locations in Rochester that carried any type of canoe or kayak. One location, Towner's was on University Ave. The only other location was a one-car garage on Ridge Road West (James Leisch), that carried a few Old Towns. In Buffalo, there was only a small operation out of a gas station in East Aurora (International Marine - Jeff Rivett). At none of these stores were you able to try the boat before you bought it, since there was no water on the premises. We thought it would be nice to be able to offer this service to our customers. With the help of my oldest son Aaron and my youngest son Todd (Who along with his wife Anita now run the store), Oak Orchard Canoe and Kayak Experts has grown into one of the most recognized, Paddlesports outlets in the U.S.A. and Canada. We are among six of the oldest Perception dealers in the United States, and in the top twelve with Wenonah canoe! Now it seems that the discount stores and mall stores have discovered canoeing and kayaking and are now offering bits and pieces of different manufacturer's lines. They are doing so like they did twenty years ago, no try before you buy, no service, no repair, no trades, and with little or no knowledge of the sport or their product. Typically at these stores the sale ends right at the cash register. There is no one to help you tie your boat down safely or give you advice on how to use what you just bought! All they know is the price and how to ring it up at the cash register! These stores have NO warranty what-so-ever. Any warranties are with the manufacturer who could be 800 to 3000 miles away! If you need warranty service or repairs, these stores have no repair department. Typically, box store shoppers are being under served by choosing box store racks and box store kayak side carry J cradles. Both can make loading/unloading laborious and unsafe. Talk to us for an easier way! Oak Orchard Canoe has long been repairing and honoring manufacturer's warranties on the spot for our customers. We at Oak Orchard Canoe think it's a bad idea to pick the only boat that is hanging from a mall store's ceiling. Instead we recommend that you pick a boat that's right for you and your needs. Let us put you in a boat on the water. Our experienced staff gives personable and professional service to each and every customer and our large selection of over 1000 canoes, kayaks and paddle boards (and dozens of brands) allows us to match you with just the right craft. Did you know that Orleans County has a very small population? A little over 45,000. Waterport is located between Rochester and Niagara Falls (North of Batavia) and is world famous for Salmon and Lake Trout fishing. Did you know that Orleans County has one of the finest River trips in a 150 mile radius? The Oak Orchard River has a good water flow all year long. 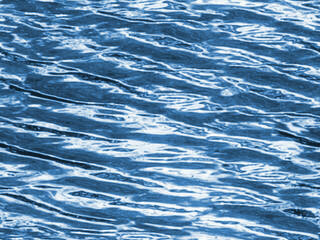 Clean, sparkling waters for boating, swimming, fishing or picnicking. We offer rentals for both large and small groups and we also give lessons and instructional tours. We thank you for taking this time to shop us and for driving such a long way today. I think you will all agree that Oak Orchard's knowledge and experience in the business is among the finest and will work hard to earn your trust. We value your patronage. Please enjoy yourself and thank you for coming.